Why should you make your own sunscreen? materials it is well worth the trouble - for both your family's health and your pocket book. Many commercially available sunscreens contain toxic ingredients or hormone disrupting chemicals that can actually promote skin cancer growth and free radical production in the body. In actuality, since sunscreen use began decades ago, skin cancer rates have actually risen, and a 2007 document from the FDA stated that: “The FDA is not aware of data demonstrating that sunscreen use alone helps prevent skin cancer”. In fact, many reports show that most sunscreens actually raise skin cancer risk. Sadly even 'all-natural', commercially available sunscreens can have toxic ingredients: Is your favorite brand listed here? Many sunscreens also contain Oxybenzone, a known hormone disruptor that is not recommended for use on children. Recent research is showing sunscreens to be a serious and increasingly clear threat to ocean life, especially coral. This is because these compounds may awaken dormant viruses in symbiotic algae called zooxanthellae. These Zooxanthellae algae provide food and color to the coral. Sunscreen chemicals cause the dormant viruses in these Zooxanthellae to replicate until the algae host dies. This causes the coral to die. Researchers estimate that over 5,000 tons of sunscreen wash off of swimmers each year. This “swimmer pollution” threatens a large part of the coral life in the ocean and indirectly many other ocean species as well. I wou ld suggest you have a hot plate or electric burner dedicated to these kinds of messy projects so that you don’t spend hours cleaning your kitchen gas burners (like I did) You also need a true double boiler, not the make shift kind but the "messy project" one dedicated to melting beeswax and the sort. I suggest keeping a look out at the thrift store. You’re also going to want to make more than 1 batch of this at the beginning of the summer or with your friends, so you don’t have to do it over and over again. **Note: This is considered a "physical sunscreen" due to Zinc Oxide (at approximately 15% in this recipe) being the main ingredient for UVB, UVA2 and UVA1 protection. 15% Zinc Oxide results in an SPF increase of 23 over the natural SPF of all other ingredients. Higher percentages of Zinc Oxide will result in greater protection, increasing SPF by 1.5 per 1%. For example this recipe with a 27% Zinc Oxide content (4-Tablespoons) would have at least an SPF of 40.
crack though so I would suggest something made for boiling). accordingly) before you add the other 2 ingredients. you don’t, you will have little white tapioca-like balls on your skin that do not rub in well when you apply the sun screen). 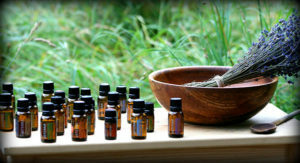 Allow to cool for a few minutes and stir in the 12 drops of Helichrysum. 1/2 Cup of your favorite unscented lotion - Here’s the one I prefer: (doTERRA SPA Hand & Body Lotion) or 1/2 Cup of coconut oil. 2 Tablespoons of Zinc Oxide (do not inhale particles). 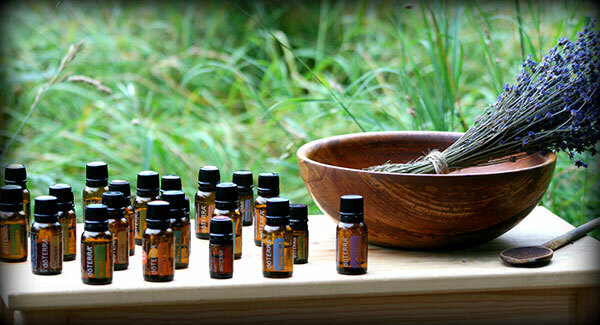 10 Drops of Helichrysum essential oil. Stir and store in a jar with a lid or a squeeze container and store in a cool dry place. Tired of Misleading Health Information? Get the TRUTH Straight to Your Inbox!